It was the fence-jump seen round the world: The emotional moment Colton leaps over a wall, in one smooth swoop, that has seemingly played in every single tease and promo for this season of "The Bachelor." And finally, after nine weeks of anticipation, fans finally saw Colton land the fence leap during last night's episode. But Bachelor Nation is still left asking, where is Colton going? Is he giving up on finding love? After an emotional breakup with Cassie, Colton fled over the fence, running away from it all. The last words heard on camera before he ripped his mic off were "F*** all of this." Check out of a sneak peek of this week's episode of "The Bachelor." Just moments before, Cassie told him she was leaving, saying: "I feel like staying here is making the wrong decision for me." "So that's it?" Colton asked. Cassie: "I feel like staying here, is the wrong decision for me." "I want you to be with someone who is insanely in love with you," she responds. Colton grows emotional, saying, "That breaks my heart." In an exclusive interview with "Good Morning America," Colton walks through the heart-wrenching goodbye. "In that moment, after I jumped the fence, I didn't know," where to go from here, he said. "That's why I jumped the fence. I just needed time to myself." "I needed to get away," he added. "And ... just figure things out, and try to figure things out." This season has been jam-packed with drama, from breakups to breakdowns, and "GMA" went behind the scenes to catch up with host Chris Harrison. When asked what happens with Cassie, Harrison says when she left it "literally crushed" Colton. 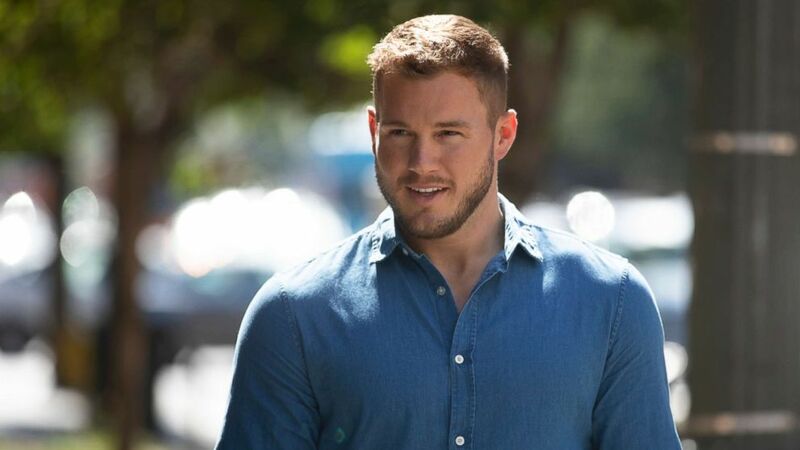 (Rick Rowell/ABC) Bachelor Colton Underwood. "He was done. He got to a point where he thought he found everything he wanted. He was in love," Harrison said. "And then his greatest fear was realized when Cassie says, 'I don't love you.'" "And she literally crushed him. And he was just done. And he kinda snapped. And he split," he added. Harrison, who has been hosting "The Bachelor" and "The Bachelorette" since 2002, says he's "never really encountered anything like that." "I've had people go, 'I'm done,' and be pissed off," he said, adding, "You really can't compare it to anything cause we've never had somebody truly bolt, truly get away from us, really be lost for a while, a good long while, and then try to rebuild this. It was nuts." As for Colton, he says watching the promo for the season finale is hard to watch, as people can forget that it is real life for him. "This is my life," he told "GMA." "It's so hard." During the highly-anticipated "Women Tell All" episode of "The Bachelor," Courtney confronts Demi for calling her the "cancer of the house."